An Introduction to Meditation. Answers all the common questions and includes dozens of simple meditation techniques. Meditation has the power to transform you - physically, mentally, emotionally, spiritually! The seed is already there inside you, but for the tree to grow and blossom, the seed first has to rupture. Meditation is nothing short of rebirth. You have to possess the courage to face death - your own death! 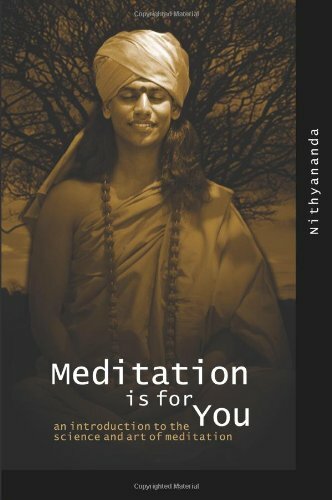 - and to be reborn as someone entirely new - Paramahamsa Nithyananda. Meditation is for You gives a complete introduction to meditation including, what meditation is, the benefits, the results, how to achieve Ananda (Bliss), who can meditate, and more. It then gives around 30 meditation techniques including some any time and anywhere meditation techniques, sitting techniques, doing techniques, etc. 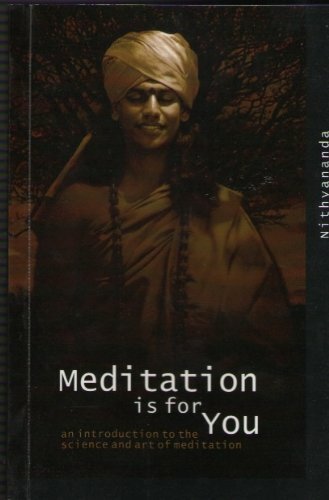 This book also has tips and suggestions on how to enjoy meditation, overcome problems while meditating, working on your thoughts, calming the mind, how to increase your awareness, and more. You don't have to learn meditation. You are already a meditator! Just remember any moment in your life when you have experienced extreme beauty the sun rising suddenly from behind a mountain. Or the first time you hear an inexpressibly lovely piece of music. At such a moment, suddenly, you become still, wordless, totally aware. Haven't we all experienced such moments? That moment is meditation. After a few moments, your inner chatter starts again. Your mind says, That s a beautiful sunrise. Your mind starts comparing the music to other music that you have heard. That means, you have fallen out of meditation. Meditation is nothing but recapturing, and remaining in, that tranquil and blissful state.